On Friday February 20th, the 2015 NFL Scouting Combine officially began in Indianapolis, Indiana with on-field testing. So far this year the players have demonstrated amazing football talent throughout the group which is giving NFL scouts, coaches, owners and managers a show. 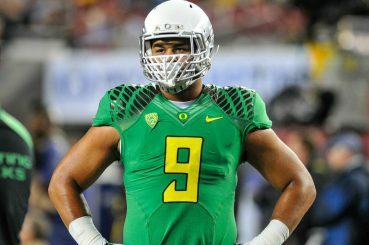 The six Oregon players who are participating in the NFL combine at Lucas Oil Stadium are Marcus Mariota, Troy Hill, Tony Washington, Arik Armstead and Jake Fisher. The list doesn’t include Ifo Ekpre-Olomu as he is still currently rehabbing his knee after tearing his ACL during the season. Friday had the offensive linemen, tight ends and kickers working out at Lucas Oil Stadium including Fisher. Yesterday the quarterbacks, running backs and wide receivers displayed their talents to the audience with Mariota being the only Duck player participating on that day. Today will feature the defensive lineman and linebackers showing their skill set to NFL executives with both Armstead and Washington part of this group. Finally, Monday will be the defensive backs’ turn to show off their talents with Hill being the only Oregon player in this group. All in all, Fisher has an excellent performance at the NFL combine as he was among the fastest in the three-cone drill and 20-yard shuttle. He’s the second fastest for the 40-yard dash and tied for second in the vertical jump. A lot of speculation has revolved around the San Francisco 49ers drafting Armstead. As a 49er fan, he would be an ideal fit in the bay area replacing defensive monster Justin Smith who is leaning towards retirement. Hroniss Grasu did not participate in the NFL combine and is most likely just looking forward to the draft in April. Mariota’s 40-yard dash was the fastest among the other quarterbacks at the combine and remains at the top for his performance in the 20-yard shuttle and three-cone drill. Today and tomorrow will be the last days for college players to display their skills to NFL personnel who will then evaluate their performances and make decisions on whom they would want to draft come April. 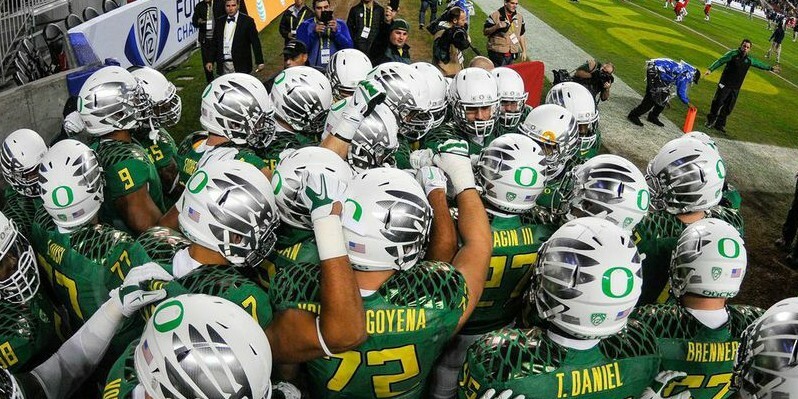 It will be interesting to see where these Oregon players are going; more will be known as draft day approaches ever so close.